Tokyo prosecutors arrested Nissan's former chairman Carlos Ghosn on Thursday for a fourth time, on fresh allegations that cut short his brief time outside detention. 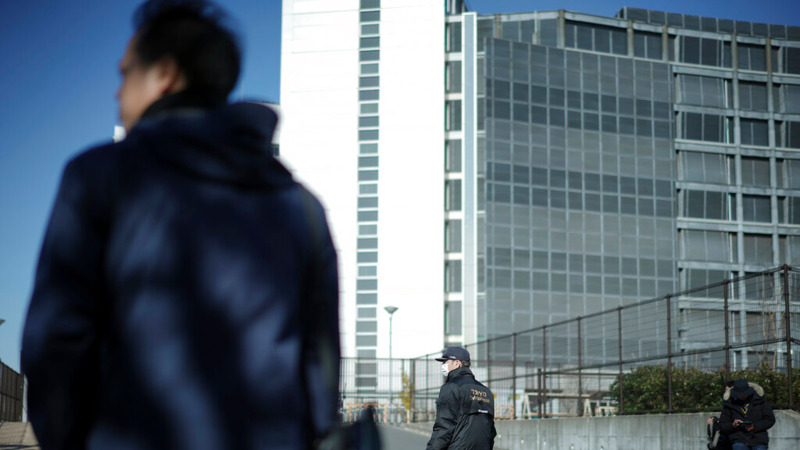 Early in the morning, Ghosn was taken from his apartment in Tokyo to the prosecutors' office and then sent to the Tokyo Detention Center, the same facility where he spent more than three months following his arrest in November. He had been released on bail just a month earlier. It's unclear how long Ghosn may be detained under the latest arrest, which involves what prosecutors said was a new alleged crime. 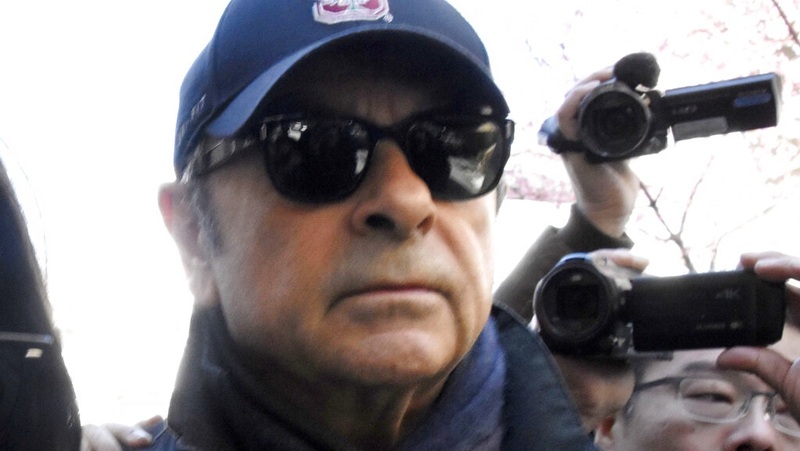 "My arrest this morning is outrageous and arbitrary," Ghosn said in a statement issued Thursday. "It is part of another attempt by some individuals at Nissan to silence me by misleading the prosecutors. Why arrest me except to try to break me? I will not be broken. I am innocent of the groundless charges and accusations against me." The prosecutors defended the move, saying the latest allegations are a new case requiring precautions to prevent Ghosn from destroying evidence. They allege $5 million in funds sent by a Nissan subsidiary to an overseas dealership were diverted to a company controlled by Ghosn. "We now have a totally different case, and we are only doing what we think is right," Shin Kukimoto, deputy chief prosecutor at the Tokyo District Prosecutor's Office, told reporters. "As a result of our investigation, we have a new case in which he must be detained, and we have appropriately obtained an arrest warrant from the court," he said. 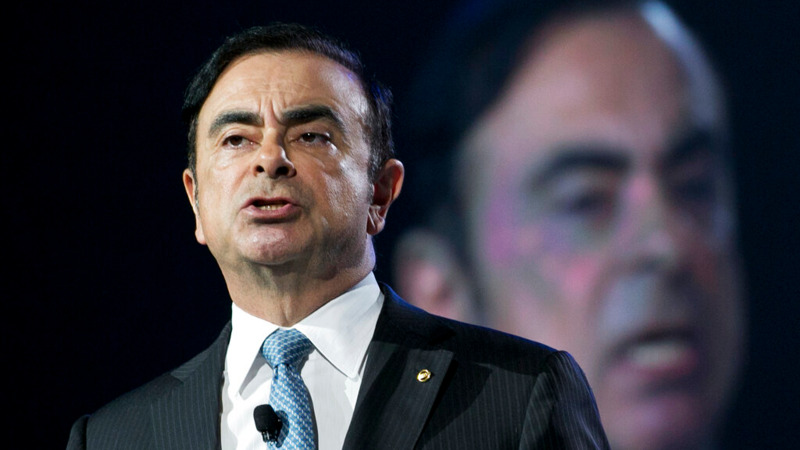 Ghosn, 65, was first arrested on Nov. 19 on charges of under-reporting his compensation. He was rearrested twice in December, including on breach of trust charges. The multiple arrests prolong detentions without trial and are an oft-criticized prosecution tactic in Japan's criminal justice system. The allegations in the most recent arrest cover three money transfers from 2015 through last year, according to the prosecutors. Kukimoto said the new allegation of breach of trust is different from an earlier charge made in January. The companies where the money was transferred to, the motives, and the alleged scheme are all different, he said. He refused to identify the three companies allegedly involved but said one company was in effect owned by Ghosn. Unlike an earlier case, in which Ghosn caused damage to Nissan to benefit himself and a business partner, this time it was merely "for his own personal benefit," Kukimoto said. French prosecutors also are investigating Ghosn's financial activities at Nissan's French alliance partner Renault SA, where he was chairman and CEO until his arrest. Ghosn is one of France's most famous executives, and each development in his legal saga is closely watched by the French government, a key Renault shareholder. A statement from the prosecutors' did not mention Oman, but the allegation appears related to an investigation by Renault into payments to a major dealership in the Middle Eastern country, some of which are suspected of having been channeled for Ghosn's personal use. Ghosn's lawyer Junichiro Hironaka denounced the arrest, saying his client's stringent conditions for release on bail after three months — already relatively quick by Japanese standards — had already precluded prosecutors' objections to his release by preventing him from tampering with evidence or fleeing the country. "This goes against what is defined by law. This should never be allowed," Hironaka told the Foreign Correspondents' Club of Japan. "I feel this is hostage justice." Hironaka angrily accused the prosecutors of maneuvering to pressure Ghosn and said the renewed detention will hurt his legal team's preparations for defending him. Prosecutors likely wanted to prevent Ghosn from speaking at a news conference he had planned for April 11, Hironaka said. He said Ghosn has prepared a video statement to be shared soon if he is unable to leave detention in time for the news conference. Ghosn's family expressed concern, describing his detention as a "solitary confinement as part of an attempt to force a confession." Ghosn has said the compensation he allegedly under-reported was never decided on or was to be paid in the future. He contends Nissan never suffered losses for his personal investments and says allegedly dubious payments for legitimate services. In his statement Thursday, Ghosn said he was confident that he will be found innocent. "I am determined that the truth will come out. I am confident that if tried fairly, I will be vindicated," he said. Hironaka said officials seized the cell phone and passport of Ghosn's wife Carole, who was with him in the Tokyo apartment where he was staying. Prosecutors would not comment when asked. Ghosn was an auto industry star, having transformed Nissan over two decades from near bankruptcy into one of the largest automaking alliances in the world. Nissan, a co-defendant on the charges of under-reporting compensation, declined comment on the criminal proceedings. However, company spokesman Nicholas Maxfield said in a statement that "Nissan's internal investigation has uncovered substantial evidence of blatantly unethical conduct." The maker of the March subcompact, Leaf electric car and Infiniti luxury models will hold a shareholders' meeting next week to oust Ghosn from its board. The maximum penalty upon conviction on charges of under-reporting compensation and breach of trust is 15 years in prison. It is unclear when Ghosn's trial may begin. Preparations for trials in Japan routinely take months.